Spring is almost here and what better way to enjoy a beautiful spring drive than with this gently pre-owned 2015 Jaguar F-Type convertible at Jaguar Colorado Springs. This luxurious one-owner convertible has just over 13,240 miles on the odometer. That is over 13,200 miles below market value! The high performance supercharged 3.0L V6 engine delivers 340HP making it the perfect car for driving enthusiasts. Put the top down and enjoy premium Jaguar features including Meridian 380W 10-speaker audio system, 14-way premium leather heated sport-style seats, reverse traffic detection, 18-inch Vela-style alloy wheels, wind deflector, Bluetooth connectivity, and much more! 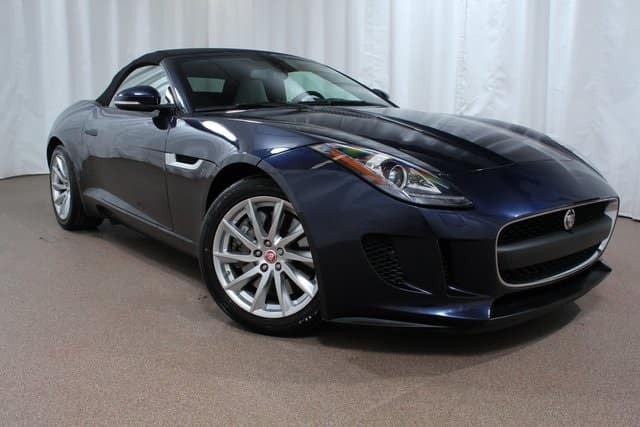 Priced below $49,990, this exciting low mileage Jaguar F-Type is priced to sell! Stop in to Jaguar Colorado Springs and test drive this fun convertible today! Our knowledgeable financial department is ready to assist you with the perfect loan to fit your needs!